Spring is here which means this is the perfect opportunity to book a room with the 1840s Carrollton Inn! 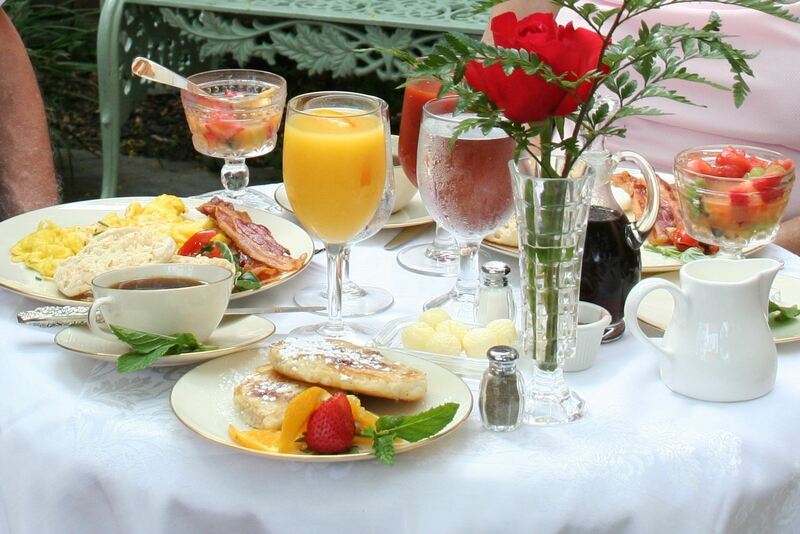 Enjoy a night in one of our luxurious suites followed by scrumptious breakfast in the courtyard the next morning. Hurry and book a room today. Baltimore has a lot to offer this spring! Don’t miss out on spending a lovely night in the city this season! Wake up in a cozy room and enjoy a cup of coffee out in the courtyard as the weather begins to warm. Breakfast will be served and enjoy the delicious tastes of spring. Prepare for a day out on the town with a light jacket–get ready for some sunshine after a long winter! Walk around the Inner Harbor and take a ride on a water taxi to view the skyline of the city. Visit the Light and Pratt Street Pavilions to do some shopping, and then stop by an area museum. Be sure to stop by the front desk on your way out to ask for recommendations for lunch. Come back to the 1840s Carrollton Inn, grab a mug of tea and head out to take a walk around the gardens. Head back to your room to rest and get cleaned up for a nice dinner out on the town. We can call a cab for you and make dinner reservations at a restaurant that we recommend, or one of your choice. Enjoy a leisurely dinner and then you can walk to a nice dessert shop and treat yourself. As the spring warm day cools into night, venture back to the Inn to curl up in your cozy room. Wake up in the morning and do it all over again! For more information or to book a room, please visit www.1840splaza.com We hope that you will join us soon!